Later, in Paris, he failed the entrance exams for the French naval academy and, instead, enrolled at the prestigious art school l'Ecole des Beaux-Arts. In 1921 Saint-Exupry began serving in the military, and was stationed in Strasbourg. There he learned to be a pilot, and his career path was forever settled. After leaving the service, in 1923, Saint-Exupry worked in several professions, but in 1926 he went back to flying and signed on as a pilot for Aropostale, a private airline that flew mail from Toulouse, France, to Dakar, Senegal. In 1927 Saint-Exupry accepted the position of airfield chief for Cape Juby, in southern Morocco, and began writing his first book, a memoir called Southern Mail, which was published in 1929. He then moved briefly to Buenos Aires to oversee the establishment of an Argentinean mail service; when he returned to Paris in 1931, he published Night Flight, which won instant success and the prestigious Prix Femina. Always daring, Saint-Exupry tried in 1935 to break the speed record for flying from Paris to Saigon. Unfortunately, his plane crashed in the Libyan desert, and he and his copilot had to trudge through the sand for three days to find help. In 1938 he was seriously injured in a second plane crash, this time as he tried to fly between New York City and Tierra del Fuego, Argentina. The crash resulted in a long convalescence in New York. Saint-Exupry's next novel, Wind, Sand and Stars, was published in 1939. A great success, the book won the Acadmie Franaise's Grand Prix du Roman (Grand Prize for Novel Writing) and the National Book Award in the United States. At the beginning of the Second World War, Saint-Exupry flew reconnaissance missions for France, but he went to New York to ask the United States for help when the Germans occupied his country. He drew on his wartime experiences to write Flight to Arras and Letter to a Hostage, both published in 1942. 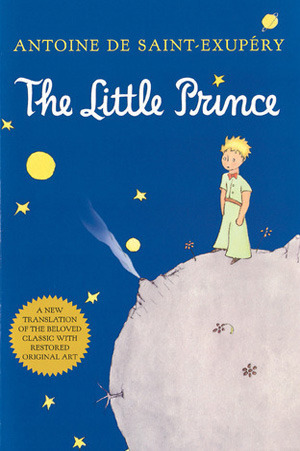 His classic The Little Prince appeared in 1943. Later in 1943 Saint-Exupry rejoined his French air squadron in northern Africa. Despite being forbidden to fly (he was still suffering physically from his earlier plane crashes), Saint-Exupry insisted on being given a mission. On July 31, 1944, he set out from Borgo, Corsica, to overfly occupied France. He never returned.